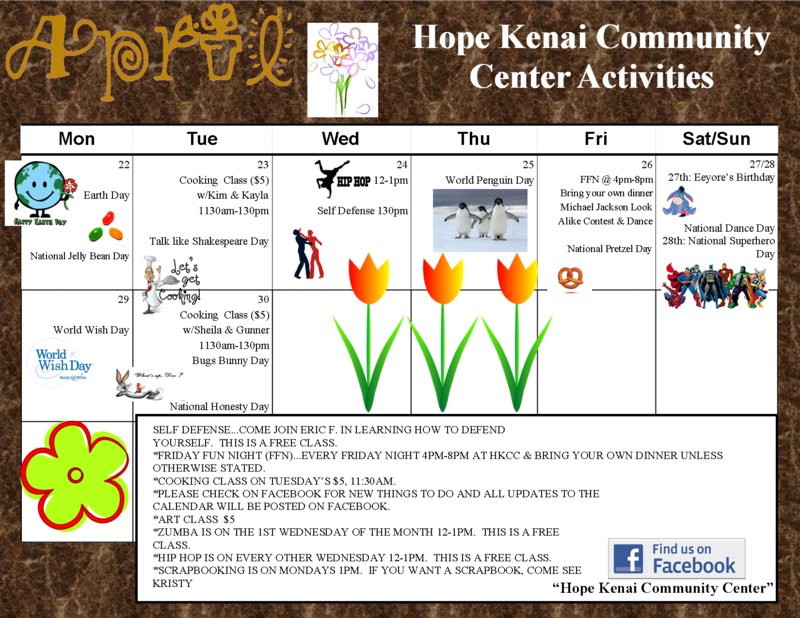 Kenai Community Center - Hope Community Resources, Inc. 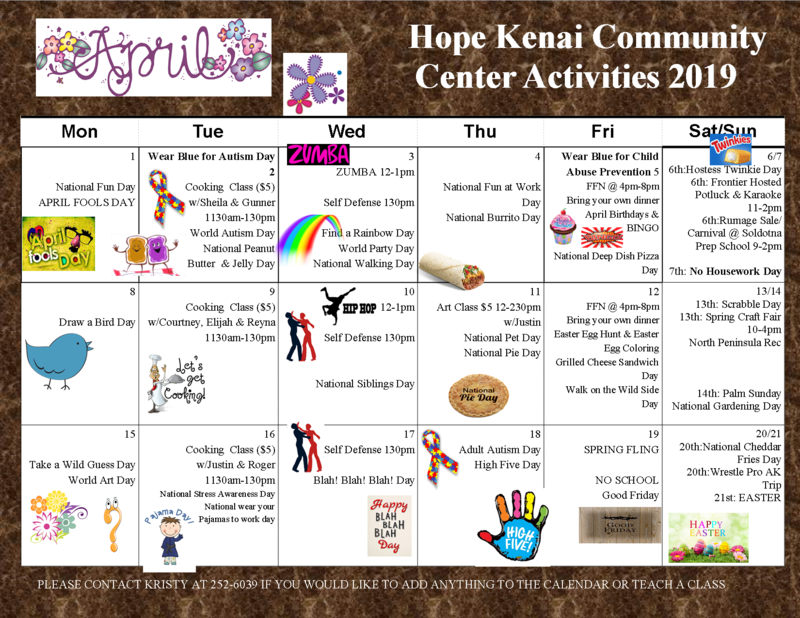 Enjoy all that the Kenai Peninsula offers when you experience Hope through its Recreation and Outdoor Pursuits programs and activities available through the Hope Kenai Community Center. 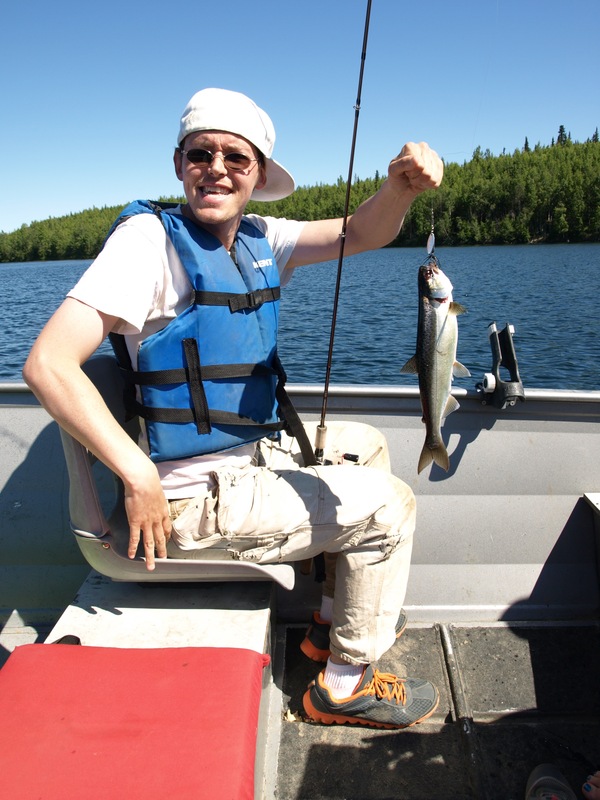 Programs include community-based activities such as cooking, art, gardening, boxing, fitness and self-defense classes, as well as hunting, fishing, and other outdoor activities. Community classes and groups meet weekly, Monday through Friday. Classes vary in cost with some free activities. The costs associated with our classes and group activities cover materials used and instructor fees. If you require reasonable accommodations, please call ahead to ensure you have what you need for a great experience. Don’t see an event you are interested in? Let us know and we can work with you and other members of the community to make it happen. Opened in 2015, the center is located off Kalifornsky Beach Road and Princeton Avenue near Poppy Street. The center has a meeting room with Video Teleconferencing (VTC) set up to accommodate up to 10 people, a large multi-purpose room, accessible bathrooms, and a full kitchen. The center is available for rent to the community for private special events, meetings, trainings, and celebrations. 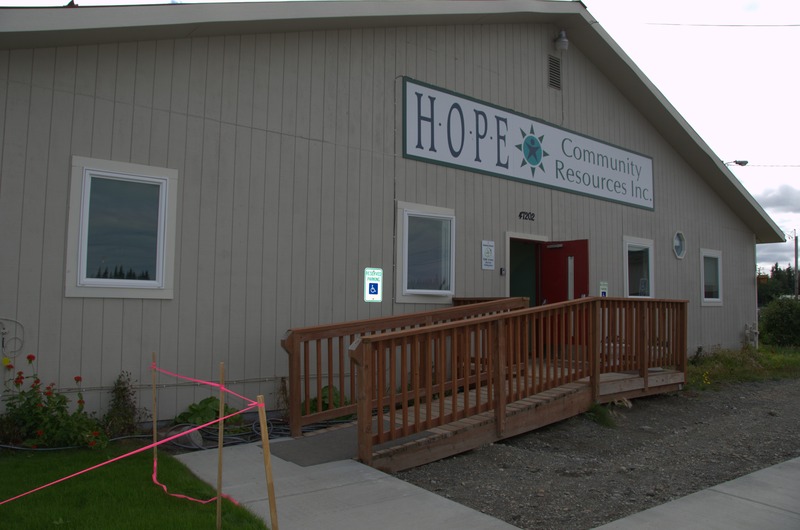 See the Hope Kenai Community Center rental rates for more information. Please note, no drugs or alcohol are allowed on the premises. 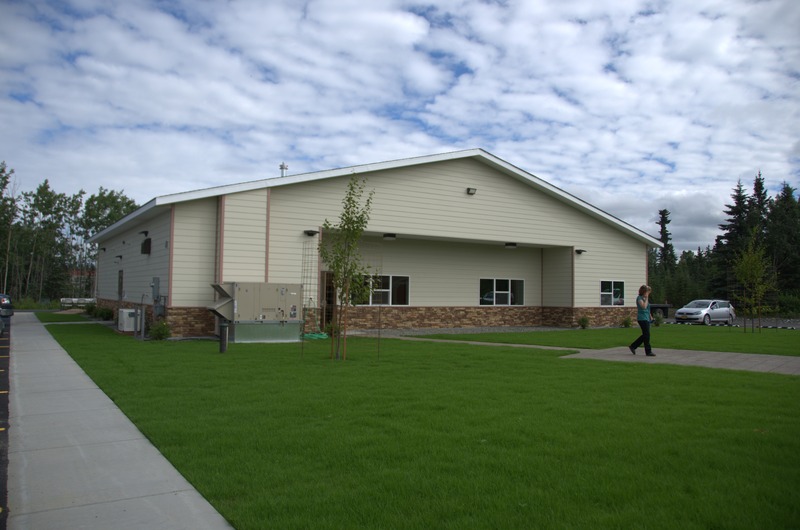 For more information regarding our programs or the center, please contact our office at 907-420-3600 or click here to email.